We started seeing tectonic shifts in the market during the third quarter. Small-cap stocks underperformed the large-cap stocks by more than 10 percentage points between the end of June 2015 and the end of June 2016. A mean reversion in trends bumped small-cap stocks’ return to almost 9% in Q3, outperforming their large-cap peers by 5 percentage points. The momentum in small-cap space hasn’t subsided during this quarter either. Small-cap stocks beat large-cap stocks by another 5 percentage points during the first 7 weeks of this quarter. Hedge funds and institutional investors tracked by Insider Monkey usually invest a disproportionate amount of their portfolios in smaller cap stocks. We have been receiving indications that hedge funds were boosting their overall exposure and this is one of the factors behind the recent movements in major indices. In this article, we will take a closer look at hedge fund sentiment towards Annaly Capital Management, Inc. (NYSE:NLY). Annaly Capital Management, Inc. (NYSE:NLY) was in 13 hedge funds’ portfolios at the end of the third quarter of 2016. NLY has experienced a decrease in activity from the world’s largest hedge funds lately. 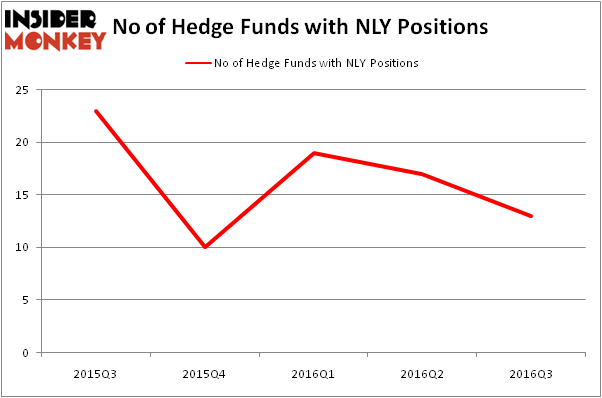 There were 17 hedge funds in our database with NLY holdings at the end of the previous quarter. The level and the change in hedge fund popularity aren’t the only variables you need to analyze to decipher hedge funds’ perspectives. A stock may witness a boost in popularity but it may still be less popular than similarly priced stocks. That’s why at the end of this article we will examine companies such as Restaurant Brands International Inc (NYSE:QSR), Discovery Communications Inc. (NASDAQ:DISCK), and SCANA Corporation (NYSE:SCG) to gather more data points. 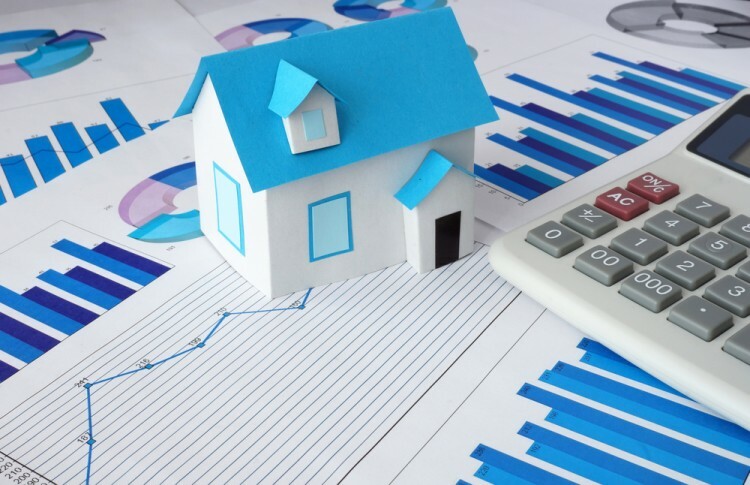 How have hedgies been trading Annaly Capital Management, Inc. (NYSE:NLY)? Heading into the fourth quarter of 2016, a total of 13 of the hedge funds tracked by Insider Monkey were long this stock, a 24% drop from the second quarter of 2016. By comparison, 10 hedge funds held shares or bullish call options in NLY heading into this year, so hedge fund ownership of the stock is still up by 30% in 2016. With hedge funds’ capital changing hands, there exists an “upper tier” of notable hedge fund managers who were boosting their stakes considerably (or already accumulated large positions). When looking at the institutional investors followed by Insider Monkey, Jim Simons’ Renaissance Technologies has the biggest position in Annaly Capital Management, Inc. (NYSE:NLY), worth close to $73.8 million. The second largest stake is held by Clough Capital Partners, led by Charles Clough, holding a $14.8 million position. Other members of the smart money with similar optimism include Cliff Asness’ AQR Capital Management, John Overdeck and David Siegel’s Two Sigma Advisors, and Israel Englander’s Millennium Management. We should note that none of these hedge funds are among our list of the 100 best performing hedge funds which is based on the performance of their 13F long positions in non-microcap stocks. Xcel Energy Inc (XEL): Smart Money Ownership Continues to Dreadfully Lag Peers... Hedge Funds Are Doubling Down On WSFS Financial Corporation (WSFS): What Do... Hedge Funds Remain Unimpressed by POSCO (ADR) (PKX) Is Controladora Vuela Co Avcn SA CV (ADR) (VLRS) Going to Burn These Hedge... How WCI Communities Inc (WCIC) Stacks Up Against Its Peers Is Southern Co (SO) A Good Stock To Buy?